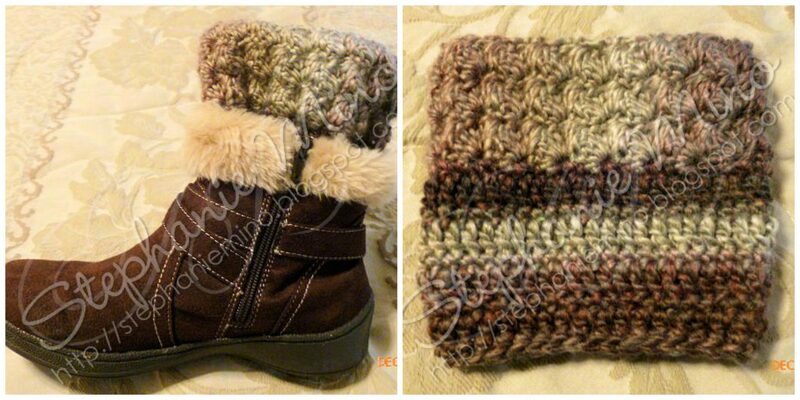 Boot cuffs and a blanket made it to the top of the most viewed submissions on “Making it thru Monday” last week! There were so many other projects too that deserve some attention, so go see what’s been going on and…..submit your project too!!! 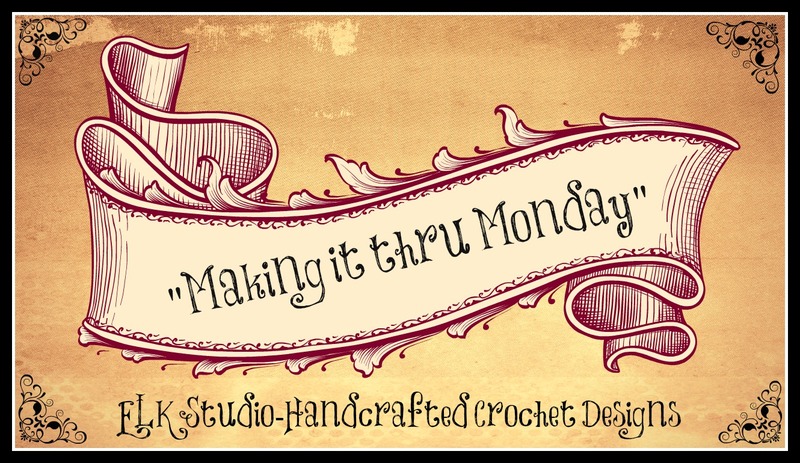 You can email me a photo of your latest projects at elkstudiocrochet@gmail.com or upload it directly to my ELK Studio Facebook page. Stephanie made these spectacular cuffs using my Ripple Stitch boot cuff pattern, but I must admit that I’m totally in love with her cuffs. It’s amazing how yarn choice can totally change the way a project looks. Don’t you agree? The pattern allows great texture and it definitely shows off with her cuffs! Thanks for sharing your project Stephanie! Our next project comes from Elizabeth of Crocheted Cuties by Elizabeth. 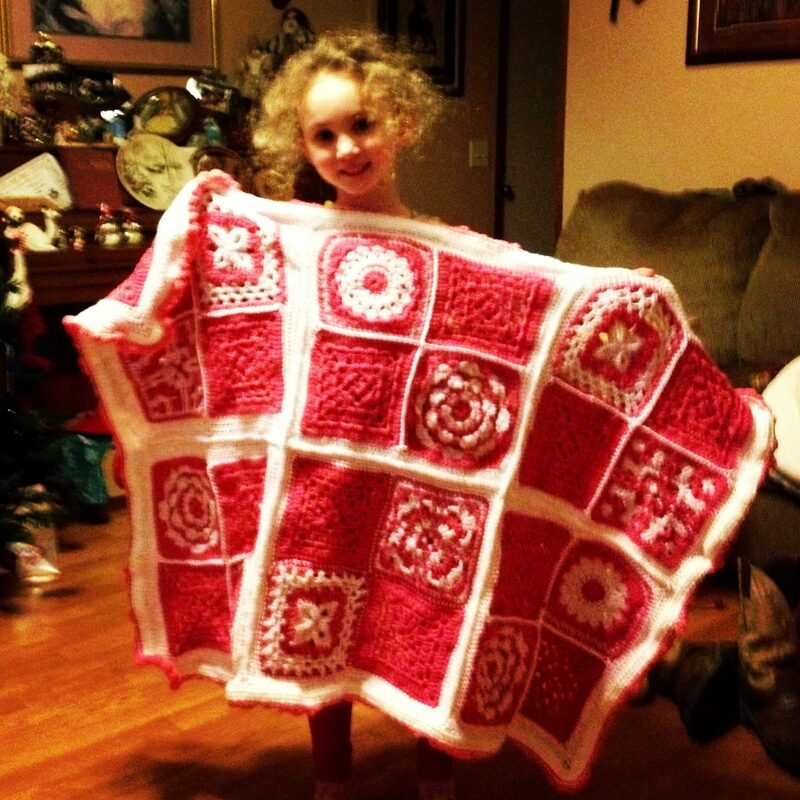 What does a crocheting mom give her daughter for a birthday present? It doesn’t take but one guess to figure out that it’s definitely something using her crocheting skills. Look at all the different squares used in this blanket! The color is fantastic and the arrangement and design couldn’t be any better! Another great share on “Making it thru Monday”. Now, go grab your “I’ve Been Featured” button and add it to your blog! Be sure to check out today’s fun! Have a great day and be blessed!! I love them both…Great designs and a beautiful model! !